Tsavo is home to some of the last remaining “big tuskers” – elephants with tusks weighing in excess of 100lbs on each side. It is thought that there are less than 20 of these elephants left on Earth, and almost half of them are in Tsavo. Many of them live in remote, inaccessible areas and are rarely photographed. For this book, Tsavo Trust helped me track down two cow tuskers and four bull tuskers, including “LU1”, the largest of all. The challenge of protecting an area the size of Switzerland, with limited resources, is immense. However, Tsavo Trust is making a crucial and tangible impact through teams patrolling on the ground, regular aerial reconnaissance flights, community outreach initiatives and intelligence activities. I found it truly inspiring to work with Richard and his dedicated team. Our new book is large (36 x 28 cm / 14 x 11 inches) and features 150 previously unseen black and white photographs, taken over the course of an expedition in 2017 and two expeditions in 2018. Approximately a third of the images were taken with BeetleCam, which helped me capture a spectacular and intimate perspective of Tsavo’s giants. This is my first substantial collection of black and white photographs and the first significant set of BeetleCam images ever to be published in a book. I have put everything into this book and I am very proud of the end result. We decided that this book could do the most good as a communication tool for Tsavo Trust. We have therefore made a beautiful, high-quality book, without regard for profit, and our aim is to reach as many people as possible with it. The photographs in the book communicate an inspiring message: that these amazing elephants are still out there and it is not too late to save them. If we sell out of the first batch of books, we will have covered the printing costs, the cost of a sizable donation of books shipped to Kenya for Tsavo Trust’s use, and a portion of the expenses incurred in capturing the images. A further portion of the expedition expenses were covered by a generous grant from Sony. We have now received the first batch of books in the UK and we are preparing to ship them. 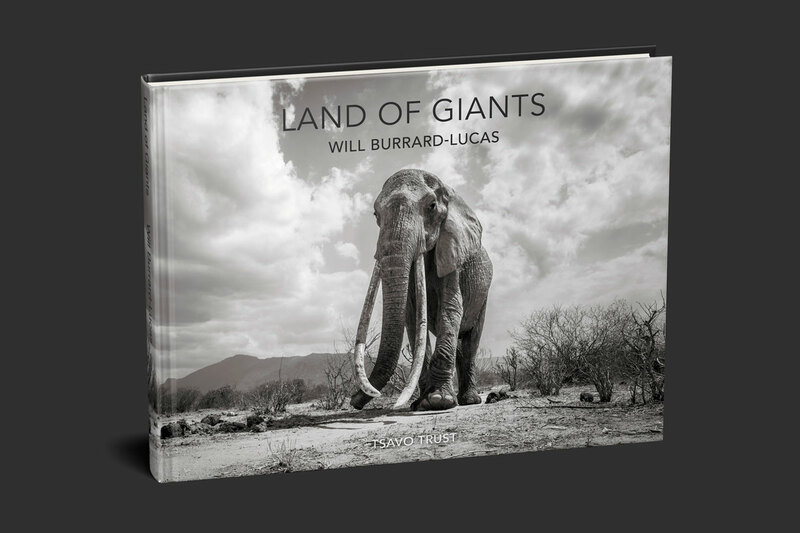 Books can be pre-ordered directly from WildlifePhoto.com and I will happily hand-sign them at no extra cost. For convenience, unsigned books can also be purchased from Amazon UK. Both options offer international shipping.